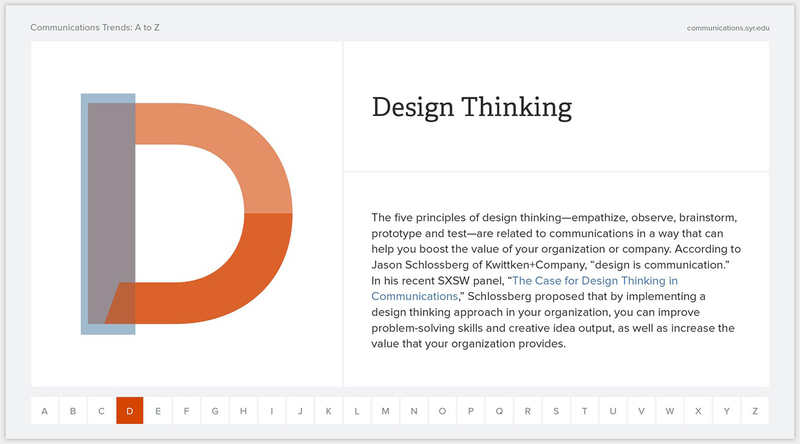 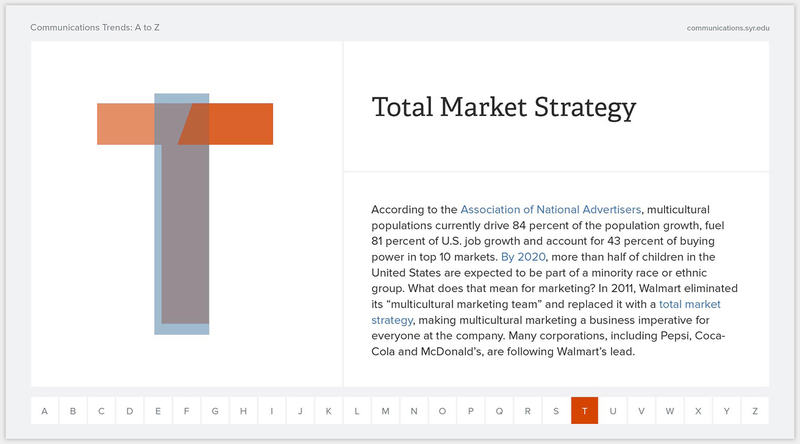 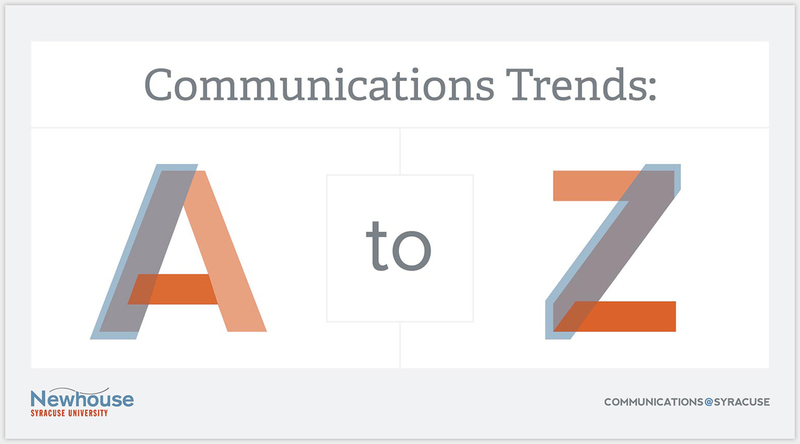 Interactive alphabet ebook of popular trends in the field of communications. 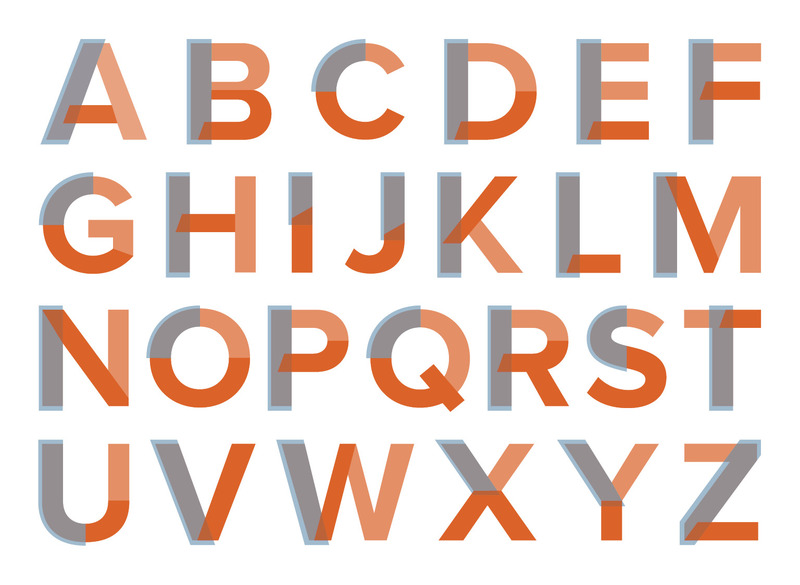 Each letter is comprised of geometric shapes inspired by the brand’s structural and grid-heavy visual identity. 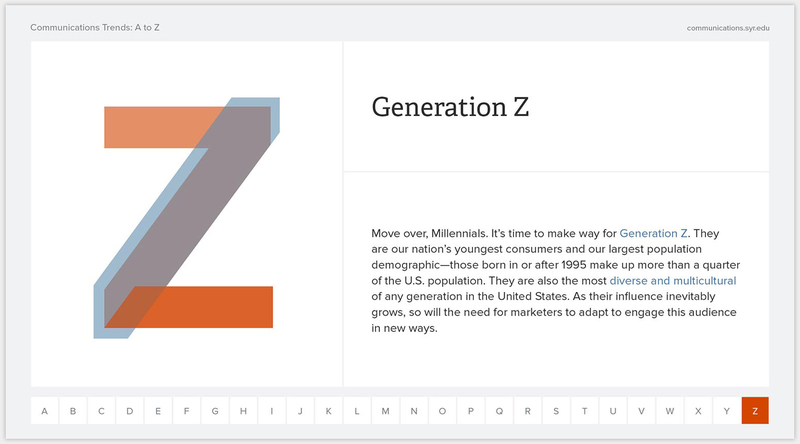 Contrasting brand colors with varying opacity give the letters depth and texture.